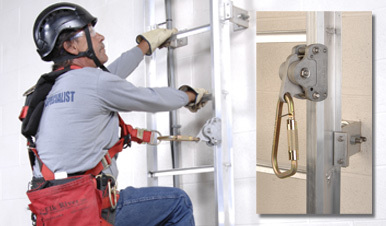 A leading supplier of climbing worker safety equipment throughout the world. 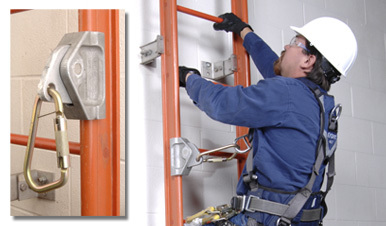 Sur-Loc, Inc. is a leading supplier of climbing safety products to protect workers on fixed ladders in a variety of applications. A desire to ensure that all tower construction workers can work safely at heights was the driving force behind the invention of the Climber's Buddy™ climbing safety system. This system is OSHA compliant and meets the test requirements set forth in ANSI A-14.3-2008. 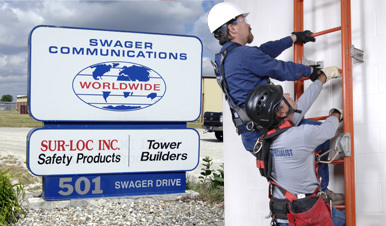 The Climber's Buddy™ was developed in conjunction with a sister company, Swager Communications, Inc., which specializes in the design, manufacture and construction of tall communications towers. Safe and secure workers are productive workers. Please browse through our products and use our contact page to get in touch with us!